Irving Rose, who has died aged 58 of a heart attack in South Africa, was one of Britain’s most charismatic players and became famous as The Great Rose. He was known to bridge-players princi­pally through his management over thirty years of London’s leading bridge clubs, starting with Crockford’s and ending with TGR’s, named in his honour. An addiction to rubber bridge for high stakes, at which he was highly successful, spread to other forms of gambling at which he could not buck the odds. 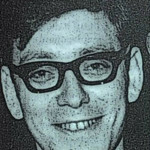 Irving Rose was born in 1938 in Glasgow. His father, Louis, was one of Scotland’s leading bridge players, and Rose took enthusiastically to the game as a teenager. In 1967 he married Annette, the daugh­ter of Honor Flint. The same year, with Alan Hiron as his partner, he represented Britain at the Dublin European champi­onships, earning the bronze medal. A partnership with Robert Sheehan, now bridge correspondent of The Times, led to fifth place in the 1974 World Pairs in Las Palmas. In the ‘76 Olympiad, where Rose partnered Jeremy Flint, Britain was third. In the 1981 Europeans in Birmingham Rose and Sheehan were in the British team which won the silver medal. Health problems caused Rose to leave TGR’s two years ago to recuperate with friends in South Africa. He returned to London earlier this year to compete in the Macallan International Pairs, the last time his many friends in Britain were to see him in action at the bridge table.